The federal government will establish personalized accounts to help Canadians pay for lifelong learning and skills development in next week's budget, CBC News has learned. The specific details of the program weren't shared with CBC, but two government sources say the government's plan is modelled on a similar program in Singapore. Finance Minister Bill Morneau hinted broadly at the program during a pre-budget event at a shoe repair shop in Toronto today. The Kensington Market shop's owner, Lorena Angola, had to take time off from her old job to retrain as a cobbler. "In our budget this year that's what we are going to be thinking about," Morneau said. "How do we help Canadians to take time off? How do we ensure that they can continue to live their life while they are taking time off? And how do they pay for their training?" Skills development will be one of the four major themes of next week's budget, along with pharmacare, support for seniors and housing affordability. Morneau announced last month that the final budget of the Trudeau government's current term will be tabled March 19. "We know there's more to do. 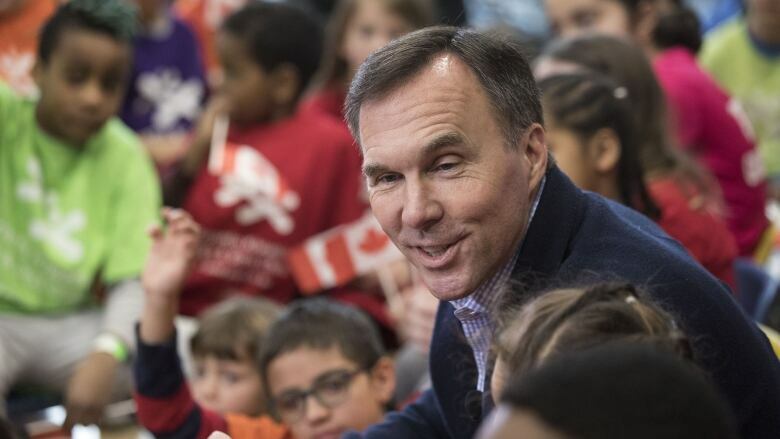 That's why I am so pleased to announce that March 19, we will be introducing budget 2019, the next steps in our plan to ensure middle-class optimism and an economy that works for all Canadians," Morneau said in the House of Commons. A statement released by Morneau's office said the budget will focus on investments in people and communities and creating opportunities for future generations, although no specifics were offered. BCC President and CEO Goldy Hyder said the council remains concerned about skills training, regulation, the energy sector, trade and Canada's fiscal sustainability. "Canada's business leaders are concerned about Canada's economic future," Hyder said in a letter sent to the minister Tuesday. "Budget 2019 is an important opportunity to introduce measures to help Canada reach its full potential while preparing for the next downturn."